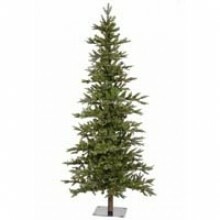 The lighted Alpine Christmas trees can be use all year long. 5 ft Alpine tree with clear lights. 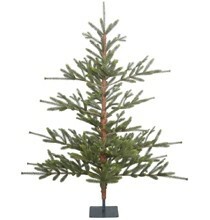 Comes with a faux bark tree trunk and a strong metal base. Base width is 48 inches. There are 150 mini light bulbs and 475 branch tips.